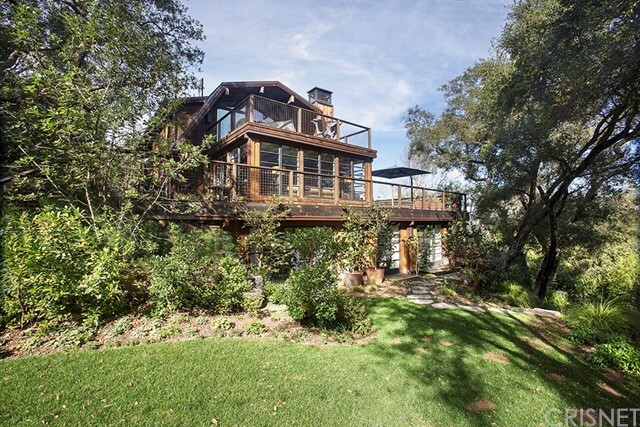 All Topanga homes currently listed for sale in Topanga as of 04/18/2019 are shown below. You can change the search criteria at any time by pressing the 'Change Search' button below. "Here the Topanga Life arises from 38 acres upon which all aspects of nature create an environment of balance, purity, & health only available in few precious places and nowhere else near Los Angeles. Beyond organic, the certified biodynamic land itself is alive as one wholistic body supporting hundreds of varieties of life giving plants, foods, and local wildlife: a labor of love decades in becoming and a genesis point for much of what is understood in the biodynamic community today. Never has there been an opportunity of this type to live within such a life-giving environment that includes a beautiful Mediterranean home and pool all surrounded by 360 degree views from the Pacific Ocean to ancient rock formations. Situated on 4 separate parcels to expand further into. Once on the land all else fades away, into a world unto itself with everything needed in life's simplest form, a virtual escape from all else yet 10 minutes to the rest of it if you must go: refuge, grow, & flourish here." "Sited above spectacular ocean, city, & queens necklace views within an exclusive enclave of custom estate homes this 2009 Mediterranean Villa sits poised to offer the ultimate LA lifestyle. Entertain guests in grand interior spaces that include the great-room with true gourmet kitchen, formal dining, and living room with fireplace... all finished in custom stone and hand hewn hardwood floors. The downstairs plays to a more casual attitude in it's massive apx. 900 sq. ft game/media room with wet bar & cut stone floors and an attached self-contained guest unit or pool house with a kitchen & bath of it's own. Still, the ultimate retreat is found in the stunning master suite with it's own private ocean view balcony, spa bath with double walk-in steam shower, & spacious master closet. The exterior amenities are equally impressive...Several acres with an infinity pool, sports court, playground, grassy lawns, terraced gardens, & ample room for horses. Minutes to PCH, Malibu & Santa Monica." 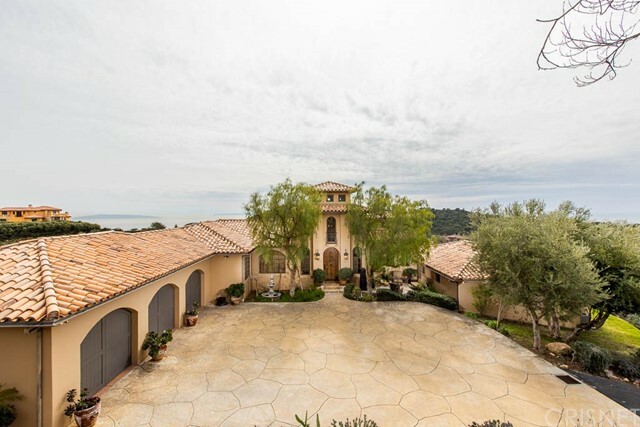 "Perched in the hills yet minutes to Calabasas, Topanga and the beach, this newly built Tuscan estate is situated on over 10 acres with panoramic ocean, canyon, and mountain views. The home includes two family rooms, four fireplaces, study, solid walnut and stone floors, soaring beam ceilings, and a spacious master suite with dual walk-in closets, egg bathtub, stone shower, fireplace, sitting room, and romantic terrace with views to Catalina. All of the bedrooms are en-suite with full bathrooms and walk-in closets. The high-end kitchen includes double Wolf range, large marble center island, wine fridge, and SubZero appliances. A detached one-bedroom guest home includes a fireplace and an attached two-car garage, and the main home has a three-car garage. Beautiful yard and gardens with covered Veranda, outdoor kitchen, and barbecue area." "Former Celebrity Hideaway, this Equestrian Estate recalls the majestic style of Spanish Colonial Revival & Moorish architecture w/breathtaking panoramic views of the mountain ranges miles away, lush gardens & trees, stunning courtyards front & back, it's easy to imagine friends & family lingering happily past the midnight hour. This secluded 3000+ sq ft estate sits on 10.5 acres w/flat pads & master suite & bath open to mountain views & large grassy area. 3 add'l view bedrooms feature decorative wrought iron, hand crafted wood doors beamed ceilings. Fenced-in corrals & hiking/riding trails fulfill every animal lover's dream w/ multiple flat pads. Other notable features: skylights, dual sided fireplaces, tile & hardwood floors, alcoves & nooks, built-in bookshelf, master soaking tub, walk-in closet, gourmet kitchen w/ bar area, butler's pantry, outdoor pavilion for tai chi (or future guest house), pizza oven & BBQ, 2 car garage+carport"
"City light views and luxury living await you in this mountaintop dream home in a guard-gated community situat ed in the Santa Monica Mountains. This is a rare opportunity to own a property offering views for miles of surrounding mountains, canyons and the west San Fernando Val ley. With easy access to Warner Center, the 101 FWY, Malibu and PCH, the tranquility of Topanga Canyon is light years away from everyday commotion.Your stunning 4 bedroom, 4 bathroom, 3352 SF residence is filled with natural streaming light and features numerous upgrades, including a resort-like backyard offering a panoramic view of the city, canyons and hills, a sparkling pool and spa, covered patios, a BBQ island and fire pit, all perfect for outdoor entertaining! The grand entrance opens to a majestic living room with soaring ceilings and offers the first of 3 fireplaces. Your chef s kitchen, with premier appliances and center island, flows into your large family room. There you ll find a fireplace and large windows looking out at the stunning view of your dreams.Downstairs is complete with formal dining, powder room and your perfect library/office.Transitioning upstairs reveals a luxurious master suite with oversized sitting area,fireplace and access to your private outdoor balcony with more elevated views. The grand master bath features a separate spa tub and shower. Your upstairs is completed with 3 additional spacious bedrooms and 2 baths.3-car garage offers upgraded 240V outlet for car charging." "Submit all reasonable offers, appraised by one buyer for over asking, why pay more in Venice, Palisades, Santa Monica, Awesome View, View, View, Beautiful new 2015 construction custom/modern home, quiet neighborhood, open floor plan, 4 bdrms, 4.5 baths, view from most rooms, Living, Family, Office, Library area, formal dining, stamped concrete driveway, RV access, solid hardwood floors, high ceilings 9' & 10', walk-in closet, laundry chute, fire place, ceiling fans, stainless/Glass railing on all four decks, glass railing inside, Gazebo area, patio areas/barbecue by kitchen, front, and back of home, back yard with fruit trees, 17' x 8' laminate glass/metal garage door, dimmable LED recess lights through out home, 36 Jen-air stove/oven & dishwasher, large kitchen island w/view, 8 miles to Malibu beach, approx. 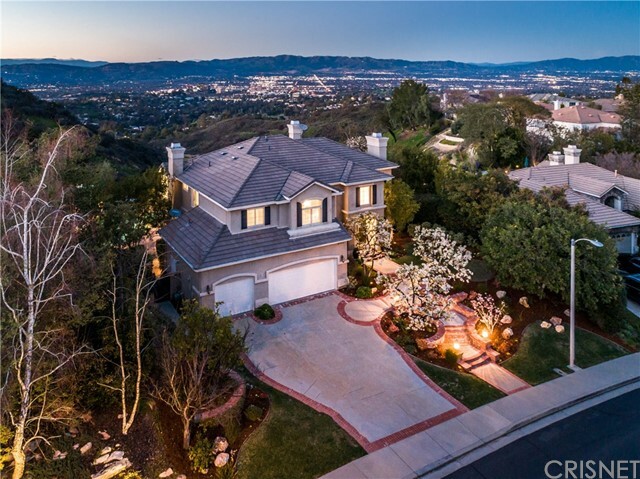 3 miles south of Mulholland Dr., an absolute entertainer home, enjoy clean air /Brand new home!! 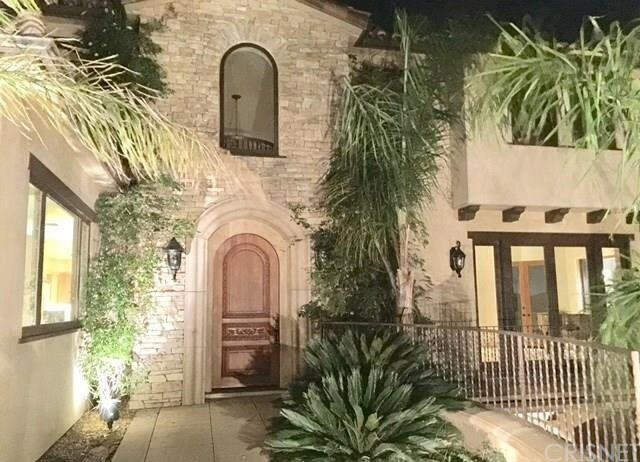 close to Calabasas, woodland hills, trails, and Topanga State Park."